The Ebonyi State House of Assembly on Tuesday suspended the member representing Afikpo North East constituency in the Assembly l, Maria Ude Nwachi, for alleged gross misconduct. 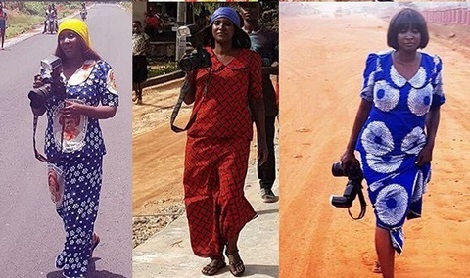 Mrs. Nwachi was accused of ‘posing as public photographer.’ The motion for the suspension was moved by the leader of the House, Joseph Nwobasi, representing Ezza North East constituency and seconded by Franca Okpo representing Abakaliki North constituency. The House said Ms. Nwachi has refused to heed earlier warnings by the Assembly to desist from being a photographer in the state. Ms. Nwachi, a former Minority Leader, according to the house by her actions has brought ‘disrespect and dishonesty’ to herself and the Assembly by posing as public photographer. Consequently, she was suspended for 14 days pending the outcome of investigations on the allegations levelled against her by a special committee constituted by the House to investigate the allegations. Ms. Nwachi was elected on the platform of the Progressives People’s Alliance(PPA) but defected to PDP last year. She was present at the plenary when she was suspended. This will be the second time she will be suspended by the House. In 2016 she was suspended for sponsoring a protest by Afikpo youth against the Enugu Electricity Distribution Company, EEDC, over poor service.